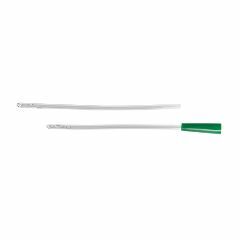 Home Tags Posts tagged with "catheters"
Urinary catheter users, we know how important it is that you find a catheter that suits you perfectly. That’s why we carry every major brand and type of catheter, plus the latest in urological supplies. 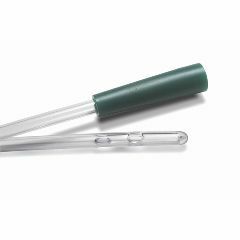 Allegro customers use words like fast, freedom, safe, lightweight, sterile, critical to preventing recurrent UTI’s, disposable, visible, smooth and durable to describe our #1 selling intermittent catheter for self-catheterization. With reviews like that, it’s no wonder it’s so popular! Shop all AllegroMedical.com. Thanks for being an Allegro Medical customer. We appreciate your business! p.s. If you use a catheter that we don’t carry, please let us know by replying to this post. Thank you! Urinary incontinence (UI) is defined as the involuntary release of urine. It’s way more common than you might think and no matter what your age, it is treatable or can be managed. The good thing is that it is not a serious health problem, but it can be embarrassing. UI occurs twice as often in women as men, and older women experience UI more often than younger. If you’re looking for urinary incontinence products as a temporary fix – while waiting for surgery or other treatment – or you’re looking for a long-term option, Allegro has a wide variety of products to make you as comfortable and carefree as possible. I’ve geared this Buyer’s Guide more towards women because of its prevalence, but we carry hundreds of products designed for male incontinence as well. Caregivers of incontinent patients take note. You can do it the hard way, or the easy way. Let us help you find the easy way. Reusable Bedpads– Our top sellers. These machine washable and dryable bedpads are a super economical way to protect your bed AND your skin from moisture. They have a quilted cotton/polyester surface, absorbent inner layer and waterproof backing. Disposable Bedpads – The Harmonie Disposable Underpads are the most popular because of their great value, but the Prevail Super Absorbent Underpads takes the prize for the highest rating. I guess you should try them both. Washcloths – Favorites include the Prevail Soft Pack Washcloths and the Prevail Disposable Washcloths Jumbo Tub. They’re 12″ x 8″, super strong, amazingly soft and come in a single hand dispenser that produces an unfolded wipe every time. Alcohol-free. Contains aloe & lanolin to keep you nice and comfy. Skin Care – Aloe Vesta Perineal Skin Cleanseris tops. It’s a non-drying, deodorizing, ready to use, no-rinse skin cleanser containing a mild aloe vera gel. Dispenses as a liquid spray for convenience. Alcohol-free and pH balanced. Undergarments – For women, we suggest the Depends Protective Underwear for Women – Extra Absorbency. Pads & Shields – Our best selling night pad is the TENA Night/Super Pad – Green. It’s extra absorbent, latex-free and quickly absorbs fluid for greater security and increased skin dryness. For stress and urge incontinence, ladies we suggest the Prevail Ultra Plus Bladder Control Pads, designed for women. For very light incontinence, go with the Prevail Pantiliners. Guys, try the Prevail Male Guards. And that’s not all folks. We also have Incontinence sub-categories with Adult Briefs, Bed Wetting Products, Drip Collectors, Feminine Hygiene Products, Just for Men, Miscellaneous Products, Pants, Reusable Items and Room Deodorizers. Have a great “dry” day, and thanks, as always, for you business. The Allegro site is chock full of great products for wheelchair users but now you can find a specific selection of products in Paraplegia: Shop by Condition. Click on “Paraplegia” under the Shop by Condition tab (home page) anytime to see a comprehensive list of Allegro’s most popular paraplegic products including shower chairs, transfer benches, cushions, catheters, daily living aids, safety products, wheelchair accessories – you name it. Thanks to everyone on the Allegro Experts Network who helped me put the list of products together, along with suggestions from our own Product Manager and Allegro veteran, Mike Benge – a 15-yr. paraplegic with impeccable taste in products and places to work. Special thanks to Allegro fan and Expert Network member “Del Huffman from Tennessee” for his recommendations. Allegro’s Bisacodyl Suppositories, USP 10 mg. are the most effective available, and very inexpensive too. The glycerin ones are not even close to the bisacodyl in effectiveness. All of Allegro’s shower chairs are great; I have used several. Depending on the level of injury, the back rest height, and non-slip legs, (rubber tube caps) are excellent for a safe, and relaxing shower. I live alone, and am very active so I need the best products to help me be independent, and on time! I am a full-time college student, majoring in Social Work, I coach basketball, am involved in ministries, and work part-time too. I am very clean and organized. I know that exercise, cleanliness, and a positive outlook are key to a wonderful life of independence and joy. All the folks at Allegro are always ready to help you and they carry all of the coolest merchandise available you will ever need! From wheelchairs and parts, to hygiene products, there is so much out there and life is what you make it. Character is measured by what it takes to stop you; adversity with composure is my motto! A big Allegro “Thank You” to Del! What a guy. If anyone else has suggestions about products that other paraplegic or active wheelchair users would enjoy, please email me. I’m at vpaxton (at) allegro (no space) medical dot com. You’ll have to decipher this on your own, as I have to be cryptic to avoid spammers using my email address.